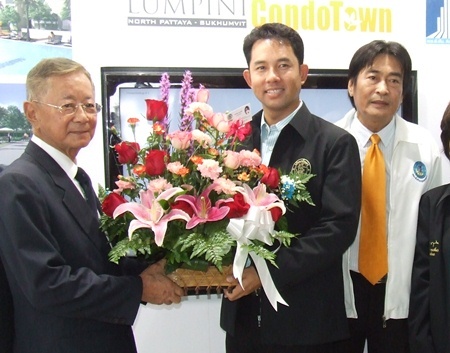 On May 9, at the sale offices of LPN on Sukhumvit Road in Naklua, Pattaya Mayor Ithipol Khunpluem, together with Pakorn Thavisin and Opas Sripayak of the LPN company, presided over the opening launch ceremony for the Lumpini Condotown project in the presence of 300 invited guests, potential customers and real estate professionals. 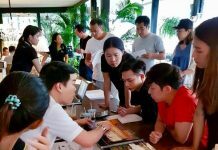 Opas Sripayak, the Managing Director of LPN, stated that this was the company’s first real estate project in the region, adding that, “Pattaya is a big city and its location not so far away from Bangkok and with its public infrastructure makes it an ideal place for real estate investment. Pakorn Thavisin, left, Chairman LPN Development Public Company Ltd., receives a bouquet of flowerers from Pattaya Mayor Ithiphol Khunpluem congratulating him on the launch of the project. 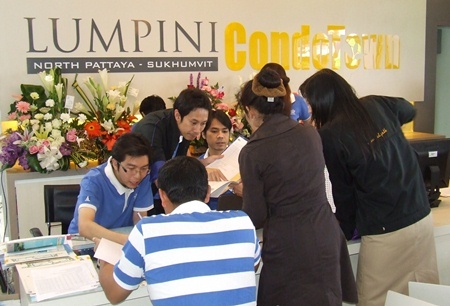 The Lumpini Condotown is located in north Pattaya on Sukhumvit Road on a land plot of 7 rai. It consists of two 32-storey buildings with a total of 1,442 individual units. 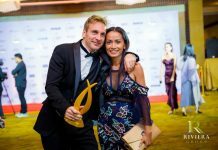 The project budget is some 1,250 million baht and construction is expected to begin around June this year, with a completion date of November 2012. For more information, call 038-489-311, 02-689-6888 or go to website: http://www.lpn.co.th. The launch party generated a lot of interest from potential buyers. 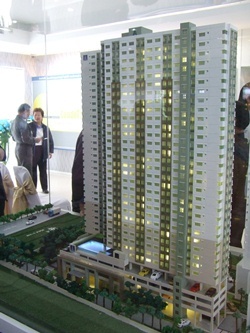 A model of the Lumpini Condotown building.